The media industry has been more affected by digital disruption than any other, according to several studies, including the Harvard Business Review. Digital disruption means that the competitive arena has significantly changed due to new entrants and products that are clearly a threat to the traditional monopolies of legacy media, which used to represent the majority of their income. This trend has forced all media groups to diversify their income sources to enable them to survive. Some have failed in the attempt, but success stories are already emerging across the globe that show that the media business has a bright future. 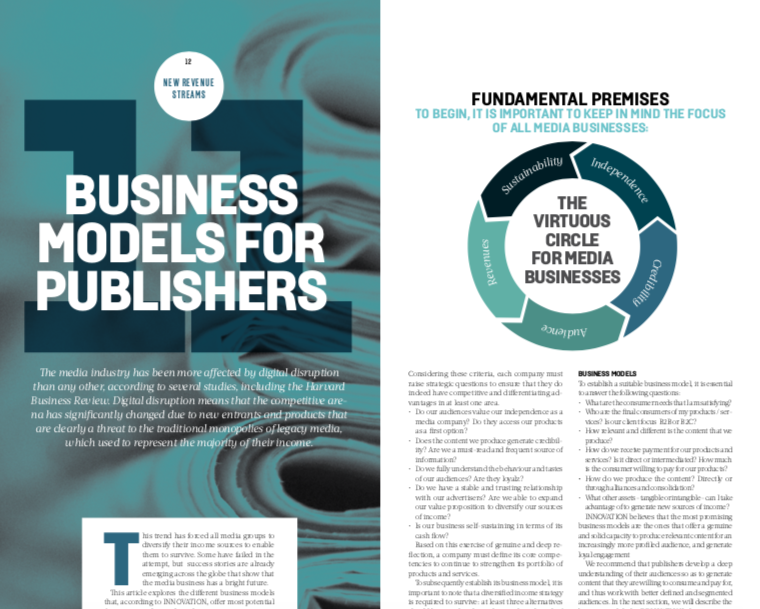 This article explores the different business models that, according to INNOVATION, offer most potential for success in the media industry. Considering these criteria, each company must raise strategic questions to ensure that they do indeed have competitive and differentiating advantages in at least one area. 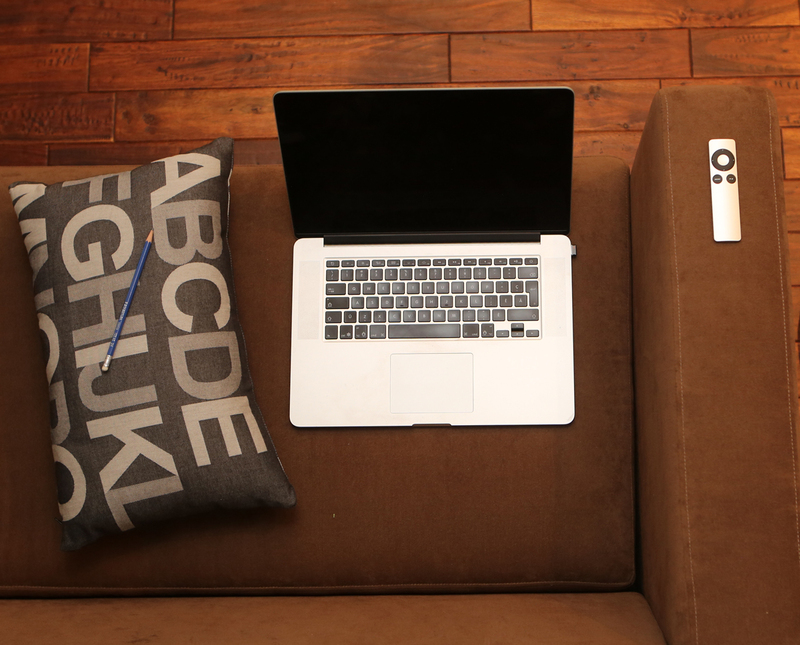 Do our audiences value our independence as a media company? Do they access our products as a first option? Does the content we produce generate credibility? Are we a must-read and frequent source of information? Do we fully understand the behaviour and tastes of our audiences? Are they loyal? Do we have a stable and trusting relationship with our advertisers? Are we able to expand our value proposition to diversify our sources of income? Is our business self-sustaining in terms of its cash flow? Based on this exercise of genuine and deep reflection, a company must define its core competencies to continue to strengthen its portfolio of products and services. To subsequently establish its business model, it is important to note that a diversified income strategy is required to survive: at least three alternatives should be considered in order to reduce the risk of solely depending on one or two revenue sources. What are the consumer needs that I am satisfying? Who are the final consumers of my products / services? Is our client focus B2B or B2C? How relevant and different is the content that we produce? How do we receive payment for our products and services? Is it direct or intermediated? How much is the consumer willing to pay for our products? How do we produce the content? Directly or through alliances and consolidation? What other assets – tangible or intangible – can I take advantage of to generate new sources of income? INNOVATION believes that the most promising business models are the ones that offer a genuine and solid capacity to produce relevant content for an increasingly more profiled audience, and generate loyal engagement. We recommend that publishers develop a deep understanding of their audiences so as to generate content that they are willing to consume and pay for, and thus work with better defined and segmented audiences. In the next section, we will describe the business models that INNOVATION believes are most likely to achieve future sustainability. – They are clearly the world leaders with the highest credibility, coverage and loyalty from their audiences. Through various forms of payment for content they have been able to sustain their business model. Only those with good quality journalism and community engagement are able to survive with this model. – Aimed at a consumer who is willing to fund media companies with negative balances, supporting their clear independence and good quality, credible content. project, with a goal of then achieving sustainability through another model such as advertising or subscriptions. Only in very well developed economies will this model be able to grow. Regulatory restrictions still limit the use of crowdfunding. – Aimed at consumers who are highly segmented due to their needs and profile and who are willing to satisfy their purchase needs with the portfolio of products / services offered. and exclusive and attractive offers, which has increased the purchase intent for their products and captured the advertisers’ interest. With the gradual increase of e-commerce in the retail market, more companies will have to develop this model, independently or through partnerships. A deep understanding of their audiences is a must to survive with this model. brands into a single area for the sale of tickets and sponsorships or have opted to create independent business units aligned with the growing interest of the consumer in actively participating in new experiences. These events also generate new content, data that feeds databases and become positive influencers for their brands. This model could represent 20 per cent of total revenues with good brand partnerships and with the right management team. – Aimed at consumers who, through subscription packages, not only access editorial products, but attractive discounts in a broad portfolio of products and services. The annual subscription could be recovered through accessing these discounts. and discounts across a wide range of services. It requires a proactive telemarketing strategy to make sure that the club members are satisfied and loyalty prevails. dependent on advertising, due to their high segmentation and profiling of their audiences which capture sophisticated audiences. – Aimed at advertisers who do not have the capacity to contract creative agencies to create advertising pieces for their audiences. built creative and editorial teams to design 360 marketing campaigns and branded content production for advertisers, that can be disseminated through their media portfolio. It requires leveraging the competency of the marketing team to be able to compete against traditional ad agencies with cost-effective strategies and excellent service level agreements. – Aimed at advertisers who want to increase their effectiveness in advertising campaigns with databases generated from the media companies’ audiences. – With the emergence of programmatic advertising, it becomes increasingly important to have your own data, to be able to take advantage of them internally but also to offer them to third parties to increase the effectiveness of your marketing campaigns. Classified ads and verticals are also an excellent vehicle to enlarge databases with more relevant audience information. audiences. By developing new products and services with this seal of quality, they can generate additional income. In most countries, media companies have a good brand awareness and acceptance; an intangible asset that can be wisely used to enlarge revenue sources with complementary businesses. • When internal IT development has proved to be effective, media companies can offer consulting and IT licensing services to their industry peers to increase their operational efficiency. types of services. This model requires developing a business-oriented and a consultative selling and consulting culture in the IT team to provide these services to internal and external customers. have created specialized funds to invest in emerging media businesses. It is crucial to have a well developed private equity fund community that can serve as partner for media companies to correctly assess the deal flow and make the right choices. 1. 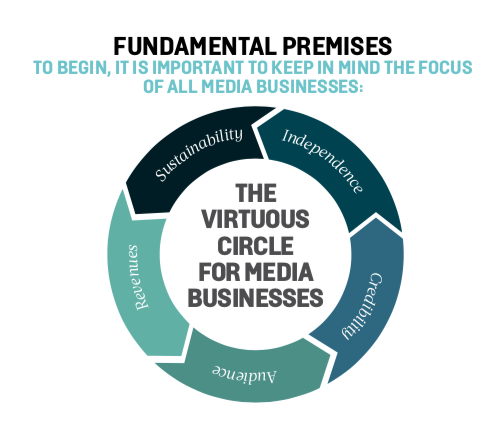 To achieve and maintain sustainability, every media company must take full advantage of its tangible and intangible assets to create a strategy for diversifying its income. 2. It is rare for a company to triumph alone. Collaboration strategies should be generated either with companies in the same sector, belonging to the value chain, or with the final consumer. 3. The innovation capability of companies is limited. All means must be used to participate in innovative and emerging businesses. 4. Owners and management teams must have an open and creative mindset to be able to adapt to the new characteristics of the consumer and the business environment.